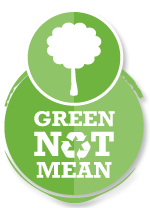 Kiwi Experience is GREEN, not mean! The future is green for Kiwi Experience and we're dedicated to protecting this beautiful environment - ensuring New Zealand's wild landscapes, vast lakes, rich wildlife and stunning coastline are protected for the future generation of passengers. Situated on the West Coast of the South Island, Westport is a renowned for its insanely beautiful rugged coastline; home to world-class surf breaks and unique wildlife. Passionate in our pursuit to keep this playground wild, the Kiwi Experience team lead regular beach cleanups with the help of our regional partners, Bazil’s Hostel and Surf School, Buller District Council, Smart Environmental and Buller Boardriders Club. Choice! OUr DRIVER guideS, THEY’RE GREEN NOT MEAN! The Kiwi Experience Driver Guides are zealous New Zealanders who are as passionate about showing off this gorgeous country to visitors as well as doing their part to protect it. All Kiwi Experience Driver Guides have taken part in the SAFED (Safe and Fuel Efficient Driving New Zealand) programme to ensure fuel efficiency when driving. Our Driver Guides are the best in the business and they’re charged with taking care of the environment, other drivers – and you (precious cargo) whilst guiding travellers around the country. They go above and beyond as far as giving back goes. It's not unusual for our drivers to take their own initiative to give back to the community, with the help of passengers, as they travel the country. Kiwi Experience’s eco-friendly answer to increased demand for accommodation from passengers has been to install glamping (glamour meets camping!) tents at key locations en-route. Where possible, they are powered by solar pods and we remove them at the end of the summer season - allowing Mother Nature to take back the lands they occupy after our visitors return home. Our glamping sites are a unique way for Kiwi Experience passengers to enjoy the country; bringing our passengers closer to nature. 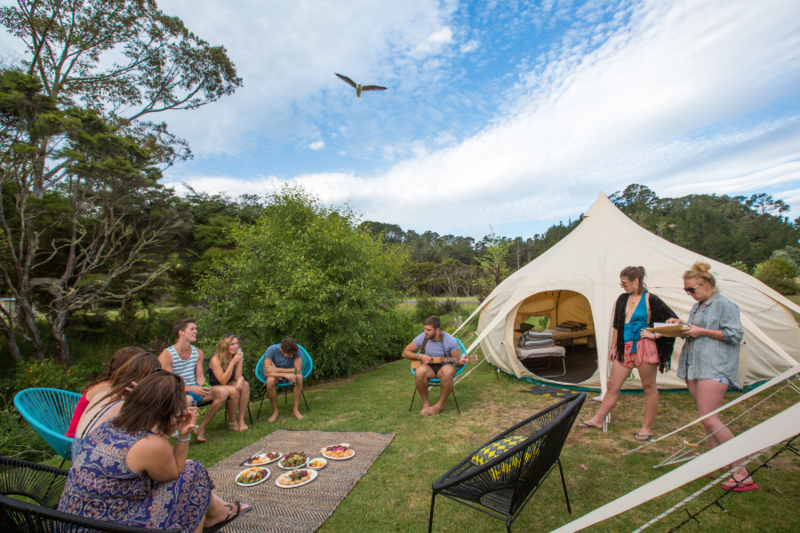 Read Jordan's glamping story with Kiwi Experience. Trees for Survival is an environmental education programme which involves young people learning about trees and how important they are for our future. 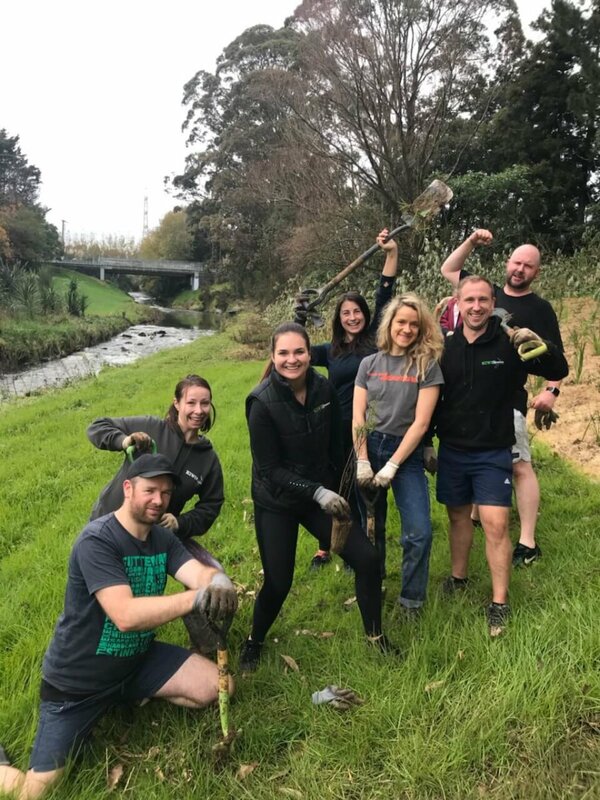 The objective to grow and plant native trees to restore natural habitats by helping landowners revegetate erosion-prone land, improve stream flow and water quality, increase biodiversity, and to keep New Zealand beautiful. When you buy your pass with Kiwi Experience, you have the option to help offset your carbon footprint by purchasing a tree which Kiwi Experience will plant with help from a local school. Eventually, we'd love to have our own forest of native trees and offset our carbon footprint entirely. National Kiwi Hatchery, in Rotorua, is New Zealand’s largest and most successful kiwi conservation centre, having hatched and nurtured over 2,000 eggs since 1995. Kiwi Experience includes a stop at the Kiwi Encounter as part of our route to allow passengers to visit this attraction. Our support is such that many of the Kiwi’s are named after Kiwi Experience drivers! 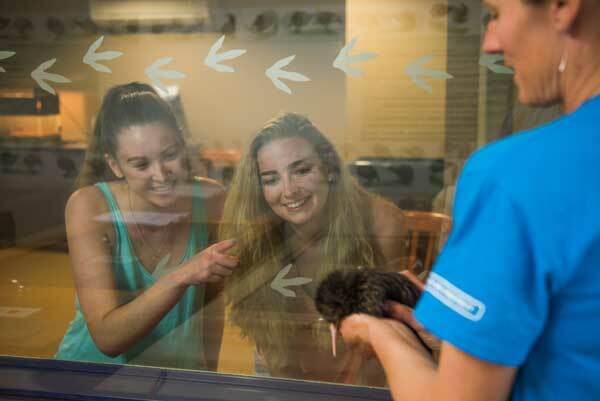 For every Kiwi Experience passenger that takes the tour – we donate an additional per person contribution to the centre! Our behind the scenes tour of this working kiwi nursery and hatchery allows an insight into the entire process of kiwi conservation – from egg collection in the wild, incubation, hatching and raising of the kiwi until it’s ready to be released. Since 2014 we have sponsored 20 new baby kiwi chicks. The West Coast Penguin Trust is a charitable trust that was formed in 2006 by local residents concerned at the decline in The Blue Penguin population. 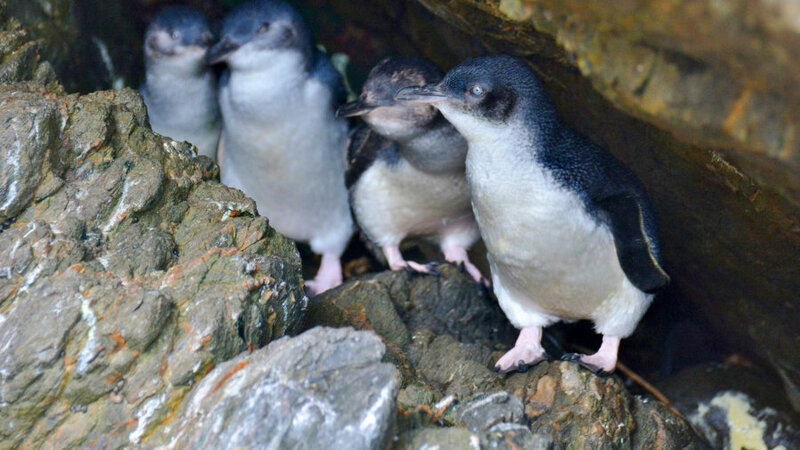 They promote the awareness and enjoyment of Blue Penguins, Fiordland Crested Penguins and other seabirds through participation in community events, media liaison and school education programmes from Karamea to Haast. Our continued support allows the Trust to conduct research into the ecology of and threats to penguins in order to better understand and address their needs. On the basis of their research, they implement practical conservation projects that benefit both coastal wildlife and the community. They also advise and work with all four councils and DOC on penguin and other seabird management in the region. Kiwi Experience has won multiple awards year on year for our continued drive to operate a sustainable business. Our proudest achievements include the 2017 Mega Efficiency Impact Award at the NZI Sustainable Business Network Awards and Qualmark Gold for the last two years. These awards are special to us because they acknowledge our “green not mean” philosophy – something very close to our heart. Being proud New Zealanders who have the honour of sharing this slice of paradise with travellers, we are focused on protecting the environment for generations to come.